PantipMakingWebsite.com::Web Design, Hosting and Domain Registration. 1. 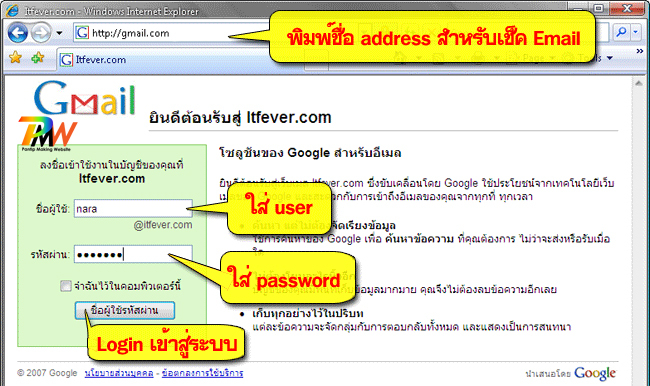 พิมพ์ชื่อ address สำหรับ login เข้าสู่ระบบ gmail for your domain. 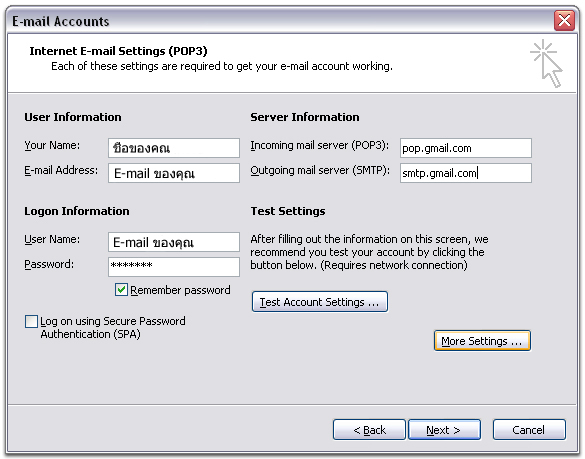 After January 23,2015 ; 8.30 pm, for other customers are on these Server 122.155.5.167 and 122.155.167.82 , and use email by Outlook program or use mail on mobile phone, please change Outgoing mail server from old "mail.domainname.com" to new "smtp.domainname.com"
Our phone shop no. 02-250-6117 (shop PALLADIUM Building 3 Floor. near Food park) . 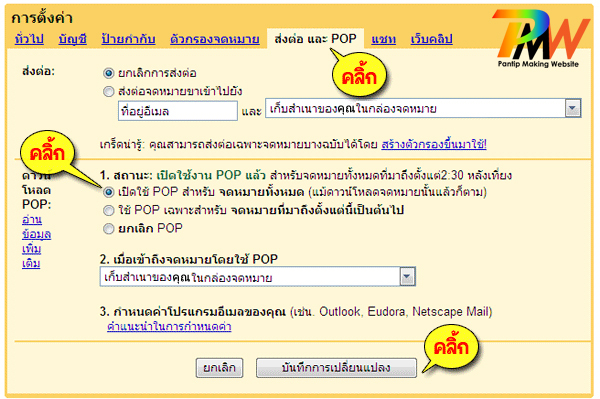 Mobile phone; Ms.Lee 084-453-0908, Mr.Sanchai 082-333-2009.